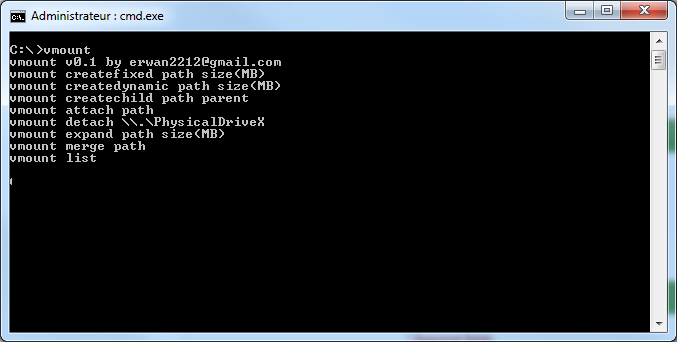 For some time I needed a tool to create, attach, detach, etc MS Virtual Disk HardDrives (VHD) from the command line. Therefore, based on CloneDisk source code, I took 5 mns to write vMount. System Requirements here missing … XP SP3, XP SP2 x64 isn’t a good help.